The goal of a satirical art hoax is to call into question the judgement of art critics. 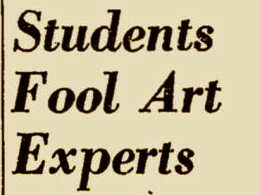 The hoax involves presenting a critic with a work for evaluation. If the critic determines that the piece displays talent and skill, the hoaxer then reveals that the work actually came from an unexpected source that couldn't have had such skill. 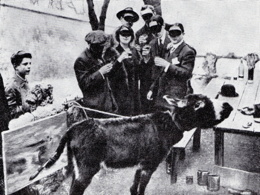 For instance, it might have been the work of an animal such as a donkey or chimpanzee. Or a six-year-old child. Or perhaps the hoaxer himself created it, having purposefully made it as bad as possible. Whatever the case may be, the implication is that the critic is a fraud, unable to discern true ability. This type of hoax became popular in the early 20th century, as art became increasingly abstract, leading to a growing gap between what leading art critics were labeling as worthy art, and the older, more traditional concept of what art should be. 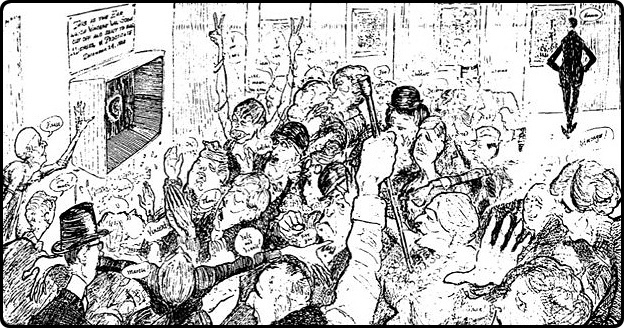 Similar hoaxes began occurring in literature (particularly poetry) at the same time. However, these satirical art hoaxes draw upon a much older tradition (dating back well into the Middle Ages) of mocking academics and intellectuals who have spent so much time in their ivory tower that they've lost touch with the everyday world. In this way, these satires tell an appealing, timeless story about the superiority of the common sense of regular folk over the judgement of the learned and supposedly wise. 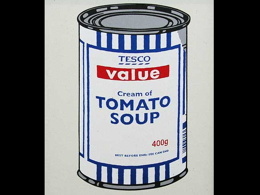 A variant of the satirical art hoax involves a hoaxer sneaking one of his own works into a museum and hanging it on the wall. If the museum directors don't immediately notice it as being out of place, this implicitly suggests that they accepted it as worthy of being in the museum. Again, this calls into question their standards of judgement because under normal circumstances, knowing the true authorship of the work, they would not have allowed the work in the museum, but when its already there, they assume it belongs. A phenomenon that's closely related to satirical art hoaxes, in that it's perceived as demonstrating the hollowness of art criticism, is the history of art shows mistakenly displaying artworks upside-down. 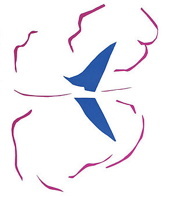 Famous examples of this include The Fossil Hunters by Edwin Dickinson (accidentally hung sideways when exhibited in 1928), Pink Lilies by Margaret Gest (which won a prize in 1936 despite being displayed upside-down), and Le Bateau by Henri Matisse (accidentally hung upside-down for 47 days in 1947 at the Museum of Modern Art). The Apesheet website lists even more examples of this phenomenon. New York Times art editor Edward Alden Jewell, while judging the spring show of the National Academy of Design, singled out a work by new artist "A. Gamio" for special praise. 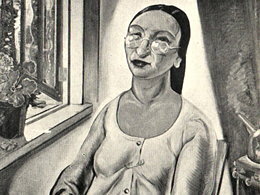 The work, titled "Mrs. Katz of Venice, Cal," showed an old woman peering over the top of her spectacles while holding a magazine. 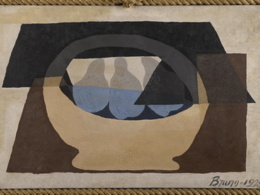 The praise thrilled well-known artist Hugo Ballin, even though his own entry in the show had been dismissed by Jewell as "vulgar," because Ballin actually was "A. Gamio." He had submitted the work as a hoax to show that Jewell would praise any work done in the "modern" style. 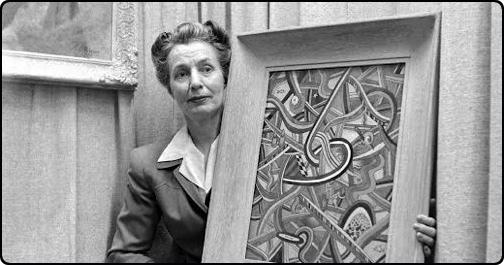 For several days in 1936, a work titled "Abstract Painting of Woman" hung in London's International Surrealist Exhibition. The work, signed "D.S. Windle" (i.e. 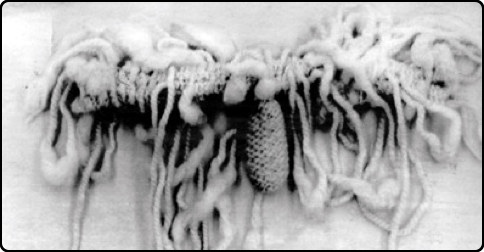 D Swindle), was "a phantasmagoria of paint blobs, vari-colored beads, a piece of sponge, Christmas tinsel, a cigarette stub and pieces of hair." But it was taken down when stylistically conservative painter B. Howitt Lodge revealed it was his creation, designed as "a protest against one of the most warped and disgusting shows I have ever attended." 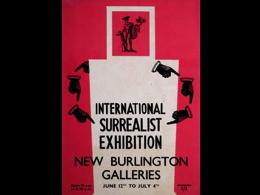 The organizers of the exhibition said that although Howitt Lodge may have intended the work as a hoax, it was nevertheless genuine surrealist art. A French farmer found a marble sculpture buried in his turnip field. Art experts hailed it as a great discovery and identified it as a Greco-Roman work from the 1st century BC. But when arrangements were made to transfer the statue to Paris, a little-known artist named Francesco Cremonese came forward and revealed that he had made the statue and buried it two years ago. As proof, he had the matching arm and nose, chiseled from the piece before he placed it in the ground. Cremonese explained that he had created the statue to demonstrate that his lack of recognition as an artist was undeserved, and that he was just as good as the masters of antiquity. When an Italian nobleman produced a painting that appeared to be Leonardo Da Vinci's "Madonna with Cat" (long rumored to exist) experts hailed it as a masterpiece and made it the centerpiece of a 1939 exhibit about Da Vinci in Milan. 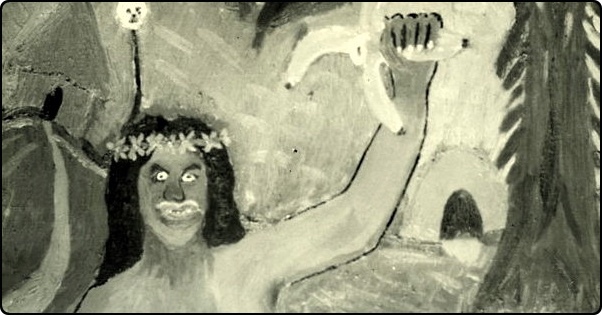 But after the show ended, the painting mysteriously disappeared, and it only resurfaced in 1990 when Cesare Tubino, a Turin painter, died and it was found hanging in his bedroom. 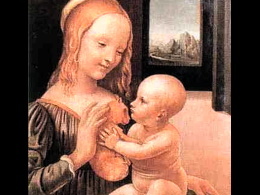 In his will, Tubino explained that he had painted the "Madonna with Cat" and not Da Vinci. 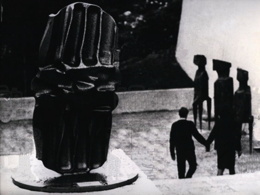 Italy's fascist government had banned Tubino from exhibiting his own work. So this had been his way of fooling the experts and secretly displaying his work. The painting "Figure of Eight, Skegness" (referring to a roller coaster at the Skegness amusement park) was displayed at a public library art exhibition in Loughborough, England. Critics praised it as a "fine specimen of modernism in colour." 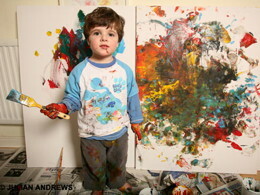 But then its creator was revealed to be 6-year-old Tommy Warbis from Barrow-on-Soar. Tommy had plastered a piece of white paper with multi-colored paints and then allowed his pet cat Jill to sit in the middle while the paint was still wet. 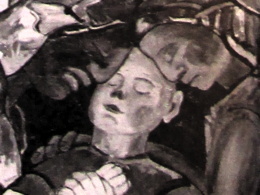 Tommy's father, a commercial artist who disliked modern art, had been invited to submit work to the show and sent his son's work instead "as a joke to test people's knowledge of art." 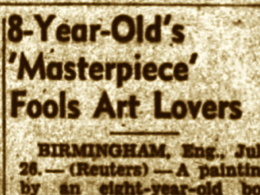 A 3-week exhibition of modern art in Birmingham town hall included a piece by a previously unknown artist, Jan Michel, which won praise for its picassolike features. 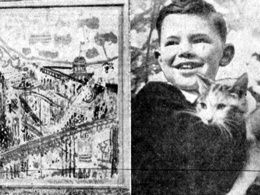 Only as the show was closing did Ronald Allin, a musician with the Birmingham city orchestra, reveal that "Jan Michel" was actually his 8-year-old son Michael. The father had told his son to paint "anything he liked" and then secretly included the result in the exhibition. He titled the piece "Mermaid" because the image bore a vague resemblance to that mythical creature. The exhibition director said it was a pity the joke was only revealed on the last day because "it might have attracted more people." 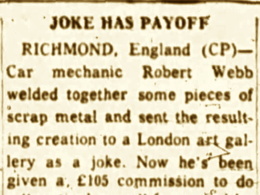 Robert Webb, a car mechanic in Richmond, Surrey, welded together some pieces of scrap metal and sent the resulting work, as a joke, to a prominent London art gallery. To his surprise, not only was the work accepted, but it resulted in a £105 commission from a wealthy collector to do a "nautical scene" in old iron. A giant steel block lost its form while being hammered at a factory. Instead of melting it down and recasting it, the workmen decided that it looked like a piece of abstract art. So they polished it up and submitted it to the Documenta III art and design exhibition in Kassel, Germany. When the directors of the exhibition discovered it was the result of an industrial accident, they had it removed from the show. 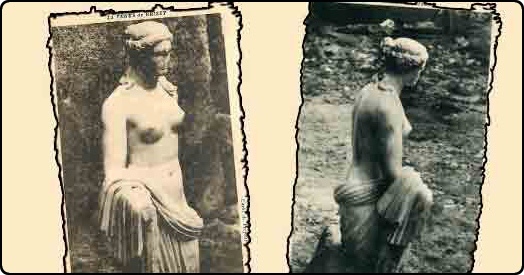 In 1984, the city of Livorno spent $35,000 to dredge a canal in an attempt to find sculptures by Amedeo Modigliani rumored to have been dumped there back in 1909. To the city's delight, three carved heads were fished out and were appraised by experts as worth $1.5 million. 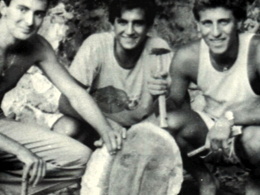 But then three university students revealed they had made one of the heads as a joke, using a screwdriver and drill. They had a video to prove it. Hopes that the other two heads were genuine were dashed when local dockworker (and former art student) Angelo Froglia proved to be their creator. He said he did it "to reveal the false values of art critics and the mass media." 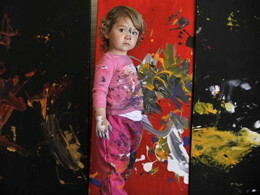 In December 2005, the German magazine Bild reported that Dr. Kajta Schneider, director of the State Art Museum of Moritzburg, when asked to identify the artist responsible for a painting, responded that it looked like the work of Guggenheim-Prize winner Ernst Wilhelm Nay, who is famous for using blotches of color. 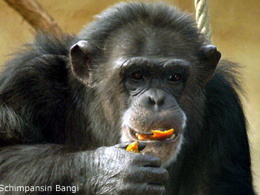 In reality, the canvas was the work of Bangi, a 31-year-old female chimpanzee from the Halle zoo. When her error was revealed to her, Dr. Schneider said, "I did think it looked a bit rushed." 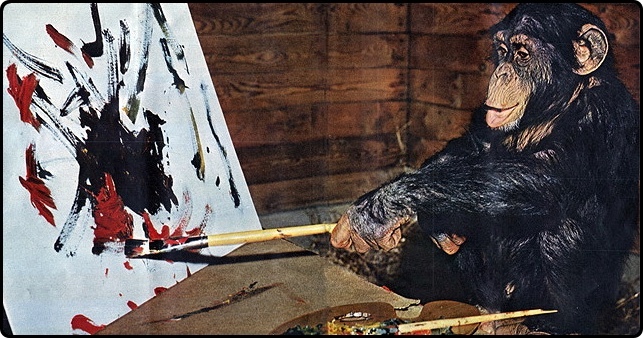 Banghi reportedly enjoyed painting, although her mate Satscho had a habit of destroying most of her works.